Does your cell phone battery leave you hanging on a regular basis? Does it require charging multiple times per day, and lose its charge rapidly even when not in use or being used sparingly? 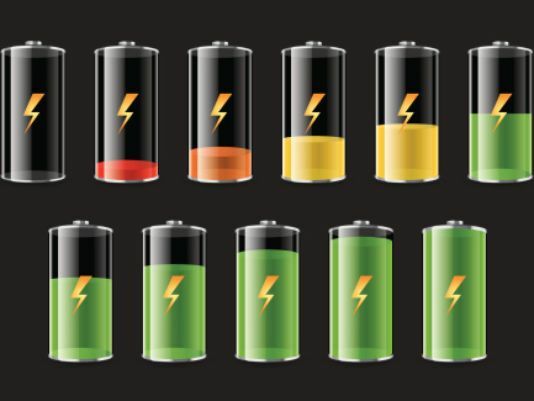 If these problems sound familiar, your phone's battery is likely in steep decline. While the lithium-ion batteries found in modern cell phones are head-and-shoulders above the nickel or acid-based batteries of the past, they are not immune to degeneration. Luckily there are few tips and tricks that can help preserve and maximize your battery's potential and keep you connected all day. Your battery's potential hinges almost entirely on your charging habits. There are a lot of myths and misunderstandings floating around the Internet about proper charging technique. The most notorious of these myths (and potentially most detrimental) is the notion of the "battery memory effect." The memory effect postulates that a battery which isn't charged above a certain threshold regularly will "forget" that it can use the extra capacity above the threshold. If a battery isn't charged above 90 percent regularly it could lose the ability to charge above that mark. Eventually the battery will tell your phone that 90 percent is 100 percent. Therefore it is essential to charge your battery to 100 percent regularly, and keep it there as much as possible. The memory effect is a real and demonstrated phenomenon, and can severely limit the potential of nickel-based batteries. One problem, however, is that nickel-based (or NiCd) batteries are virtually nonexistent in current phones. If your phone was manufactured after 2011, it almost certainly contains a lithium-ion battery, the new industry norm. While the batteries have changed, the understanding of the technology has not. Lithium-ion batteries have made the memory effect a thing of the past, yet many people still keep their phone charged to maximum capacity as much as possible. This can be potentially damaging to your lithium-ion battery's potential. Your battery's life is harmed by continuous charging. This isn't to say that your phone shouldn't be regularly charged to full capacity- a full charge keeps your battery fresh by activating its entire capacity. Bring your phone to a full charge once a day, but do not leave it on the charger when not in use once your battery is full. Avoid "quick" charges, or short periods of charging to bring your battery life up just a little to get by. It can be tempting to charge your phone for 20 or 30 minutes when you find time, but doing so regularly is damaging to your battery. Only charge your phone when you know it can stay on the charger for at least an hour.